According to new research released this spring, while the rate of medical malpractice claims brought in the U.S. has declined, the average payout for successful medical malpractice claims increased approximately 23 percent between 2010 and 2014. Experts speculate that this could be due to various hurdles that have been placed in injured patients’ way, such as some states placing caps on damages that can be collected and creating claim screening panels to block patients from filing their claims. In fact, of more than 280,000 claims, approximately 8 percent involved more than $1 million in damages between 2009 and 2014, with nearly one-third of these involving patient deaths. And, perhaps to no surprise, the most common claim identified in medical malpractice claims was diagnostic error. Experts aren’t yet able to explain all of the various details revealed by the research; for example, why payments for pathologists jumped close to $140,000, while payments for general practitioners increased a little over $17,000. Interestingly, the research also showed that the top one percent of physicians with the highest total number of paid claims accounted for eight percent of all paid claims. Upon first glance, this fact appears to indicate that the same doctors are making mistakes over and over again. Under Florida medical malpractice laws, anyone bringing a claim against a medical and/or healthcare professional for malpractice must prove that the provider breached the prevailing professional standard of care for that particular provider. The professional standard of care for any given health care provider is defined as that level of care, skill, and treatment which, in light of all relevant surrounding circumstances, is recognized as acceptable and appropriate by reasonably prudent similar health care providers. If this injury is the result of medical intervention, then the injured patient must prove that the injury was not within the necessary or reasonably foreseeable results of the surgical, medicinal, or diagnostic procedure constituting medical intervention. But how is this standard of professional conduct determined? Ultimately, it comes down to the testimony of expert witnesses, which are defined as licensed physicians who, by reason of active clinical practice or instruction of students, have knowledge of the applicable standard of care for nurses, nurse practitioners, physician assistants, or other medical support staff. Florida law also mandates that you commence your medical malpractice lawsuit within two years of discovering the injury, or when you should have discovered the injury and/or within four years form when the malpractice occurred. This is known as the Statute of Limitations. 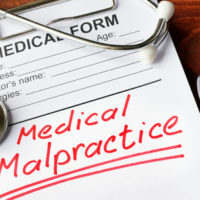 Few law firms have the experience, legal expertise, and medical expert connections necessary to successfully represent medical malpractice victims. At Friedland & Associates, our lawyers have extensive training in medical malpractice litigation. We’ve tried hundreds of medical malpractice cases in Fort Lauderdale and surrounding areas on behalf of our clients. Contact us today for a free consultation.